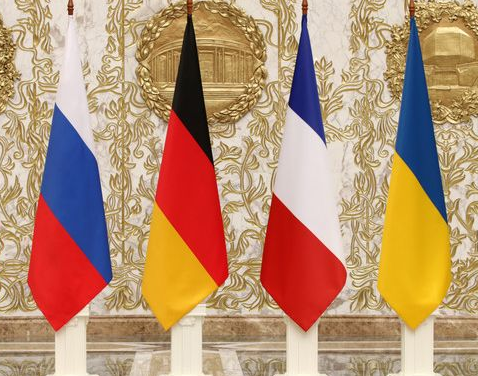 The meeting of the foreign minister of the Normandy Four countries will take place in Berlin on June 11. Heiko Maas, the German Foreign Minister claimed this as Interfax-Ukraine reported. 'Yesterday and during the last weeks, I had the discussions with the foreign ministers of France, Russia and Ukraine. I really like that we succeeded to agree on the Normandy Four meeting at the foreign ministers' level that will take place on June 11 in Berlin', he said. In his turn, Ukrainian Foreign Minister Pavlo Klimkin has reported that such issues as the release of Ukraine's prisoners in Russia and occupied Donbas and the possible format of the UN peacekeepers to Donbas will be discussed at the meeting. 'It should be a real mission, not a fake typical for Russia. What we see now is the striving of Russia to legitimate its protectorate in Donbas and destabilize us, democratic Ukraine', he said. Also, Klimkin has noted that the real mission should contribute to the provision of the safety in Donbas and then take control over the occupied territories and only then start the preparations for the democratic election at this territory. Earlier President Petro Poroshenko reported that the meeting of the Normandy Four can take place in June, however, it should not be a meeting just for a meeting. The previous Normandy Four meeting was planned for February 2018; however, it did not take place as the German side did not arrive in time.